While designing a website it is not an unusual practice for online marketing companies and website owners to adopt various methods, both internal and external. The methods adopted vary from article marketing to intense blogging, and taking advantage of press releases and using them profitably. You need to remember that there are several others in the field; hence, the need of the hour is be as prominent as possible and stand out from the crowd in order to get noticed. To get better exposure the first thing you need to do is to get a hang of how you can use methods like press releases to your advantage. There is no denying the fact that press releases are regarded as one of the time-tested and proven ways to get the all-important back links that are vital for your survival. 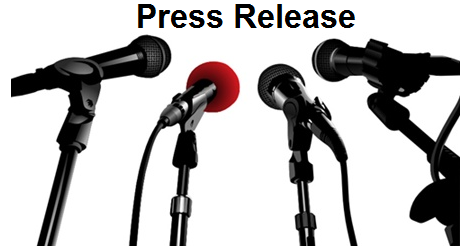 In addition to enhancing your SEO campaigns, press releases ensure that you are constantly in the news. Leading search engines like Google consider such press releases as they are constantly updated with relevant content that spells quality. It will be to the advantage of the site owners if the releases are richly peppered with keywords, as they are the mainstay of SEO. This ensures increased web traffic to the website and in turn improves the page ranking in search engines. It is important to remember that the title is as important as the content. A relevant and catchy title is sure to capture the attention of the users almost instantly. When the title is followed by relevant and meaningful content, you can consider your job done. The title may include the primary keyword and, if possible the name of the company as well. Including your title tag and adding the headline makes the news easier to access by readers. One other thing that you need to remember is the text link. The anchored text should feature the important keywords, and should be crisp and connect to the relevant URL. The search engines are programmed to notice all these minor details. While choosing the keywords, it pays to do a bit of research and check the most frequently used keywords in general searches conducted by users. Using such keywords enhances your visibility during searches, which is vital for your press releases. Identifying such relevant keywords or phrases and using them appropriately helps divert more traffic to your sites. You can consider using free tools like Google Adwords in the identification process and use the keywords that appear to be most relevant to your site. As mentioned earlier, including the primary keyword or phrase in the title or headline is very important. Once you have identified the keywords that are figure high in the list of searches by users, and at the same time are relevant to your content and site, you can be assured of reaping the benefits. It could be a happy coincidence that the most searched keyword or phrase happens to perfectly match your content and site. Hyperlinks are vital, and integrating them with anchor text in the main copy of the press releases is important. Make sure that you spot the primary keywords or phrases that need to be included in the release. However, excessive use of such phrases or keywords is bound to defeat the very purpose. Hyperlinking the keyword or phrase to the page that is relevant on the website is essential. The link, in addition to fulfilling the SEO purpose, helps divert readers from the press release directly to the website. In order to make it more visual and interesting, you can add interesting images, video clips, audio clips and any other file attachments as this keeps the viewers engrossed. This throws open more opportunities for optimizing the image or the attachment. Similarly, using an accredited release distribution service helps by ensuring the releases reach the targeted audience through the appropriate network. This could also ensure a prime place for your content targeting a larger audience. This way, your press release content stands a better chance to make use of other sites that carry hyperlinks that link back to the originating site. Following the above tips should do a lot of good for any future press releases and enhance SEO gains considerably. This is a guest post by Mark Bennett of onlinecomcast.com, a site that offers savings and current information on comcast cable and internet. With comcast, enjoy great savings!